Have you ever looked at an offering and wondered if it’s actually worth spending the money? Funeral insurance can be one of those ‘I’m still on the fence’ type of products, right? It’s marketed aggressively, so we’ve all heard our fair share of funeral cover pitches on the radio or TV. But is it something we need to consider shelling out some cash for? That is the real question. In this blog post, we tackle the top funeral cover questions we get asked time and time again. If you are still on the fence about whether you need a funeral cover plan, don’t worry – after this article, you will be armed with enough information to confidently make that next purchasing step. How long is it going to take before you can expect a payout? It’s a good question because the reason you take out a funeral plan is to get quick access to cash in the unfortunate event you or someone in your family passes away. Most insurers will pay out within 48 hours, provided the correct documentation is submitted to them. Those critical claim documents are going to include a death certificate, proof of banking and the applicable claim forms. Once all the documentation has been received, and the insurer is satisfied with the claim (that will include making sure all the policy premiums have been paid), the monies will be released to you or a family member. It seems like a complete “no-brainer” of a question, but you will be surprised how often we get asked this. The simple answer is “No”. Once the insurer pays out the money to you (the insured amount stipulated in your policy document) you have full discretion in terms of how you go about spending that money. If you want to take the full R50,000 payout and spend it on the fanciest tombstone you can find, that’s your call. Just remember that the cost of a funeral can be upwards of R80,000 nowadays, so make sure you consider all the costs before you decide on a suitable level of cover. Can I take out the cover for my entire family? Most funeral plans include full family protection, but it usually only extends as far as covering your immediate family (your spouse, your children, your parents). What you aren’t going to be able to get away with is trying to insure your 101-year-old great grandmother and your step-cousin. The good news is that we have been able to find a few insurers who will insure up to 13 family members on a plan and offer as much as R250,000 cover per family. Remember that if you are the breadwinner in the family (the guy or gal everyone in the family relies on to keep the home fires burning), there is a really good chance that if there is a death in the family, it’s your doorbell that is going to be ringing. If you are going to battle to come up with the cash to cover a funeral, then you should consider taking out a funeral plan. Different cover level options are normally on offer so you can pick the level of cover you require, at the premium that best suits your pocket. Naturally the higher the benefit level, the higher the premium. But don’t opt for a cover level that is too low – you don’t want to be stuck without enough money to cover a decent funeral, and all the other costs that are likely to pop up. Most insurers will allow you to downgrade your cover if your premiums are becoming unaffordable. We would suggest that you ask about a cover downgrade option before taking out the policy. If the insurer doesn’t offer a downgrade option and suggests it is easier to cancel the policy and take out a new one, make sure they don’t have any new waiting periods applied to the new policy. What you don’t want is to sit out a new 6 month waiting period before you can claim, because a new policy has been issued. Asking your insurer about your right to cancel or downgrade is well within your rights as a consumer, so make sure you have the facts before signing off on the quote or giving the sales agent the green light over the phone. The answer is “No”. A funeral plan is a pure risk insurance product, which means that the premium you are paying is being used to cover the risk of your passing away. It is not an investment policy and therefore doesn’t hold a cash value. As long as you continue paying the premiums, your cover is in place. The moment you cancel the policy or it lapses (as a result of premiums not being paid) your cover will be forfeited and no claim will be paid. Look, we all hit a couple of rough months along the way and occasionally a few of our debit orders might bounce. Make sure you know what your insurer’s rules are around missed debit orders and about the reinstatement of cover. Most insurers will allow 1 missed premium, provided they are able to double debit your bank account the next month. But do yourself a favour and check this all out before putting the cover in place. In most cases, your benefit (amount of cover you have opted for) will increase when your premium increases, annually. That’s to ensure that inflation doesn’t erode the value of the benefit. If you are presented with an option to increase your cover year on year, when taking out the policy, do so. Failing to add a compulsory annual premium increase to your policy could mean you run the risk of having a claim payout years down the line that is so negligible it doesn’t even cover the cost of the tea and coffee at the funeral. At the very minimum, your cover needs to stay in line with inflation. Nope, but a waiting period can be imposed before the insurer will pay a claim. Simply put, if you pass away (from natural causes) in a predetermined time period, after taking out the policy, the insurer will not entertain the claim. Because the insurer isn’t asking for any medical examinations up front to base their decision on, they need to protect themselves against people looking to take out the cover (knowing very well they are ill) with the intent of claiming. The insurance term for this type of behaviour is called anti-selection, and so there is a really good chance, as a new funeral plan policyholder, you are going to need to sit out a waiting period. Make sure you know exactly how long that waiting period is. Generally speaking, the cheaper the cover, the longer the waiting period is. 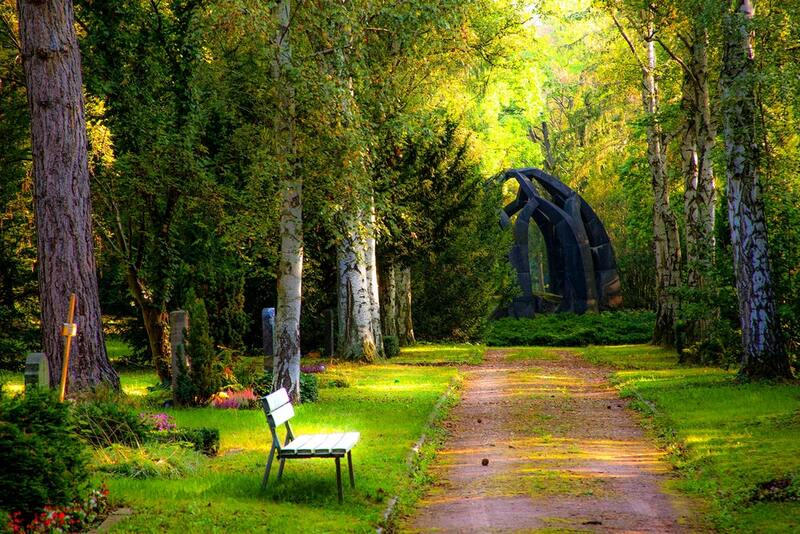 Funeral plans are pretty inexpensive but we often overlook their importance. Well, you need to ask yourself two simple questions. If you pass away, does your family have upwards of R80,000 lying around to cover a funeral? If one of your family members passes away, do you have upwards of R80,000 lying around to cover a funeral? If the answer to any of those questions is “No”, then you need to consider shopping around for a funeral plan. If you’re interested in receiving further information & an obligation free quote from ABSA Instant Life, simply enter you details below & submit. I was paying my policy right on time untill i lost my job now i have and outstanding amount ,i lost my father few days ago i called my policy and they told me they cannot pay because i owe , i asked if i pay the amount will they pay or they can deduct it.they still say no . What do i do? You cannot “owe” read your policy , if premiums are not paid on time, the policy will lapse . This relates to my father whom I want to put in the cover like this with other family members. He is 82 years of age but he doesn’t have any funeral cover and I just feel like joining into a cover. I know that many funeral covers don’t accept people over 70’s and 80’s into their covers, for reasons that I don’t know, but the local township burial societies are doing that. Is it possible for you to provide or cater for such a person. I know that Hollard Funeral cover allows you to add your parents to your funeral plan. I’m not certain whether they cover age 82 though. It’s an anti-selection issue I would think. A person waits till the last moment to join, and the big loser is the insurance company who then has to price this cost into their model. This affects everyone else on their plans. A smaller township burial society is better able to price this in since they have the loyalty of the locals. Insurance companies work on a larger scale with a more financial risk. We’d recommend that you read through your policy terms and conditions to get further clarity. The terms and conditions of an insurance policy might state that they will not pay if you are involved in illegal activities. Driving under the influence is illegal. How many funeral cover policies can one person have and what is the maximum pay out one can receive from all the funeral cover plans taken out on one person. ie Is it leagal to have funeral cover exceeding R30 000 for one person? I am real interested on this. I am new here on sanlam ,i have registered last month but yet i did not recieve my book which have all my funeral cover benefits details,and in requesting money to be deducted on my account at the end of this month,therefore my question is,am i there on your system coz the person which he had registered me when i am calling her she doesn’t respond? Please contact Sanlam directly if you’re not having luck with your representative. do you also have group schemes, if yes up to how many people and how much? We don’t market funeral group schemes. I have a policy for my mom but she passed away last year. I thought my policy had lapsed but i only realised this month the policy never lapsed and it is still active. Will i be able to claim even if its after a year? If I have more than one funeral policy will the insurance companies pay out the full amount on all the policies? each insurer will pay out to the sum assured on its policy. That would depend on the company you’re insuring with. hi. how would a funeral policy work if the beneficiary is under 18? Hi Lebo. Thanks for your comment. Proceeds of Life Insurance/Funeral cannot be paid to minors. I cancelled my investment policy because of financial constraints. I got a massage that says funds not enough for policy to be paid up. I don’t know what does this massage mean. Hi Phindile, apologies but we cannot assist you with this query. You will have to contact your provider directly.